What to know about the hospitality heavyweight review site. To say that TripAdvisor reviews are important to restaurants, hotels, and those in the hospitality industry would be an understatement. Being one of the most popular review websites, many businesses are certain to benefit from strong ratings and positive reviews on TripAdvisor, which is often considered the number one travel review website. 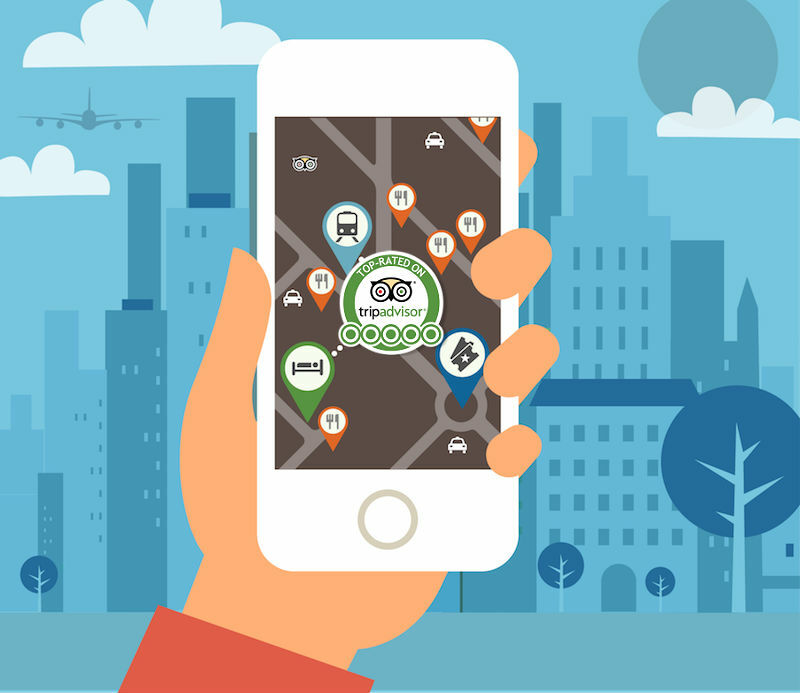 The persuasive power of TripAdvisor reviews isn’t to be underestimated, especially when it comes to dining options, hotels, and accommodation booking. The easier it is for your customers to write a review, the better chance you have of them providing one when asked. From providing a link or form on your website to emailing your customers, the less hurdles the better. Displaying TripAdvisor badges on your website alongside similar from Google, Yelp or other review sites is also a way to make it known that you would value customer feedback, as well as possibly using stickers on your door for customers to see. If you haven’t already claimed your page, visit the TripAdvisor business page and click on ‘Get listed now’ to begin. Choose your business type (hotels, restaurant, attractions or vacation rentals) and complete the details such as name of business and address. The screening of business suggestions typically takes a few days and you should hear something soon about the status of your suggestion. 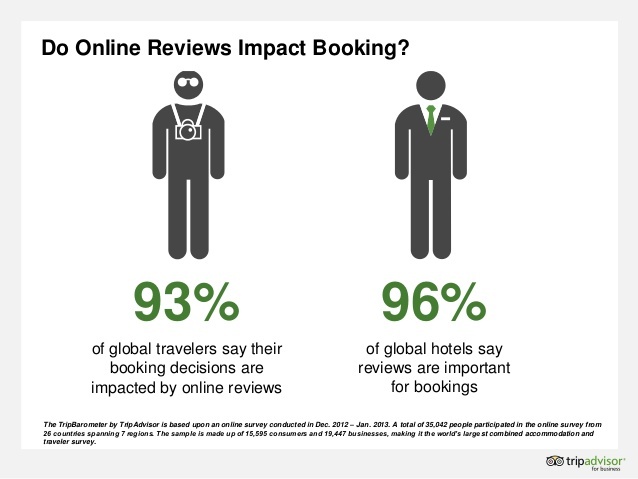 There’s a real opportunity for proactive hoteliers, since only 32% of hotels respond to guest reviews (positive or negative) which means your accomodations can really stand out on review sites. For those that take action, they’ll soon see the benefits. Hotels that respond to customer complaints can expect an increase in the reviews on their website by up to 147%. And those responses are visible to all, which help to build trust with consumers. After your account is approved and setup, you will have access to the Management Center, allowing you to monitor and manage your TripAdvisor page, along with the reviews, or you can simplify this through NiceJob. When managing TripAdvisor reviews, or any for that matter, you want to be professional in your response, be sure to respond to negative reviews as well as the others, and do so within a reasonable amount of time, preferably the same day. For hoteliers that handle review management, this can also have influence. Over 80% of travelers say they read up to 10 hotel reviews, and 84% of travelers agree an appropriate management responses to bad reviews improves their impression of the hotel. 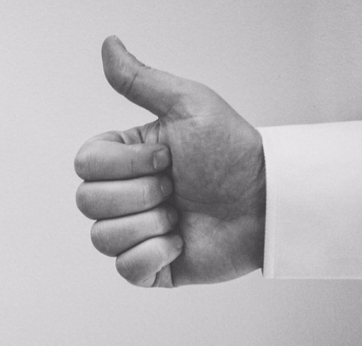 Proper handling of negative feedback can reassure future customers, and demonstrate that their potential stay could be an enjoyable experience. Just the sort of validation many need before choosing to book. TripAdvisor also provides a few tools to get more reviews, such as business card-sized reminder cards, downloadable flyers, widgets and other promotion tools. 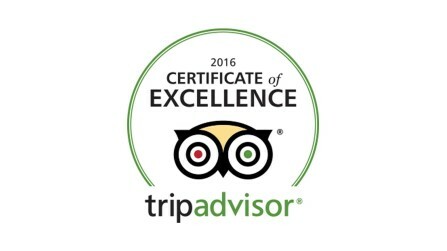 With TripAdvisor you also have the opportunity to earn special badges such as “Certificates of Excellence” or “Travelers’ Choice” that you can proudly display on your website. Doing so can help influence consumer decisions as well as build trust that helps with conversion. Keep in mind that reviews are earned, so it’s essential that customer service and experience is top notch for your restaurant, hotel or business. If uncertain what the overall sentiment is, that in itself could be a concern, as hotel and restaurant reputation management requires monitoring as well as managing. To appear near the top of the results on TripAdvisor, things like quantity, quality and age (recency) of your reviews are important. But once again, it’s the customer experience that can determine the fate of receiving positive reviews. If wondering how to delete a review from TripAdvisor, you can find further details and guidelines for TripAdvisor reviews by referring to this. It’s also worth noting that in our own research we found TripAdvisor to be one of the most important review sites, after others like Google, Yelp and Facebook. Our advice? For restaurants, hotels, and those in hospitality, ensure you have claimed the essential business review listings, such as Google, Yelp, Facebook and TripAdvisor. Be sure to optimize your business pages by filling in details properly, including name, address, phone, and business hours. Also, you want to have at least 10 photos minimum on your profiles (it does matter) along with dozens of reviews, with new ones coming in all the time. It might come as a surprise to some, but most consumers believe reviews older than 3 months are no longer relevant.